We believe all teachers can teach coding. Teachers Learning Code is designed to help K12 teachers with little-to-no coding experience teach coding fundamentals with confidence! 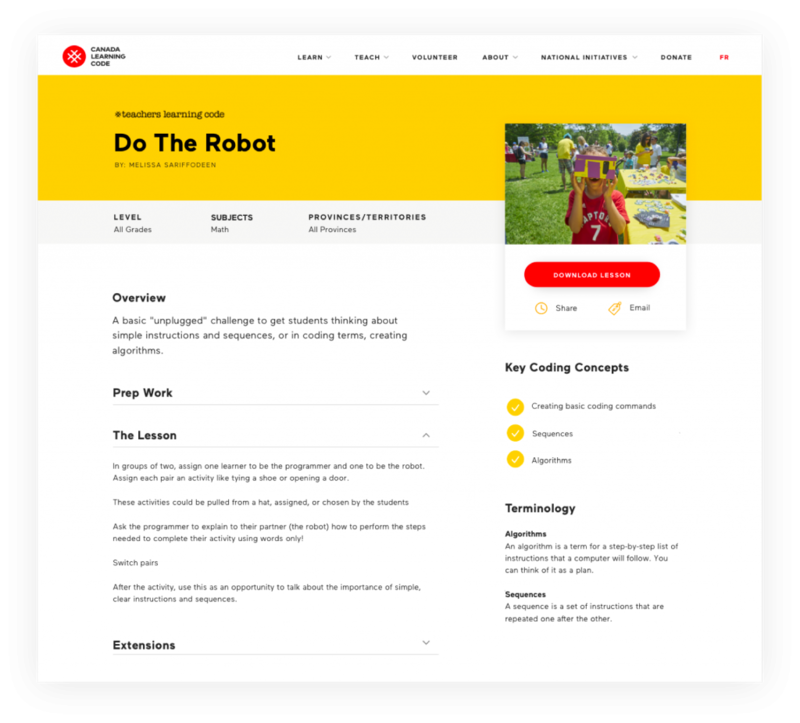 We’ve combined our experiences teaching thousands of youth across the country to code, our tips and tricks to get started, resources to familiarize yourself with code. Our lesson plans are available for a variety of grade levels and subject areas. Plans are modular and contain both UnPlugged Activities and hands-on code-alongs that promote and reinforce computational thinking. We highly recommend attending a workshop if you plan to teach others how to code. Our Ladies Learning Code and Teachers Learning Code workshops are great spaces to network, PLUS you may just learn something new yourself! There are hundreds of computer programming languages out there and although they may look nothing alike to the human eye, at their core, they are all the same. 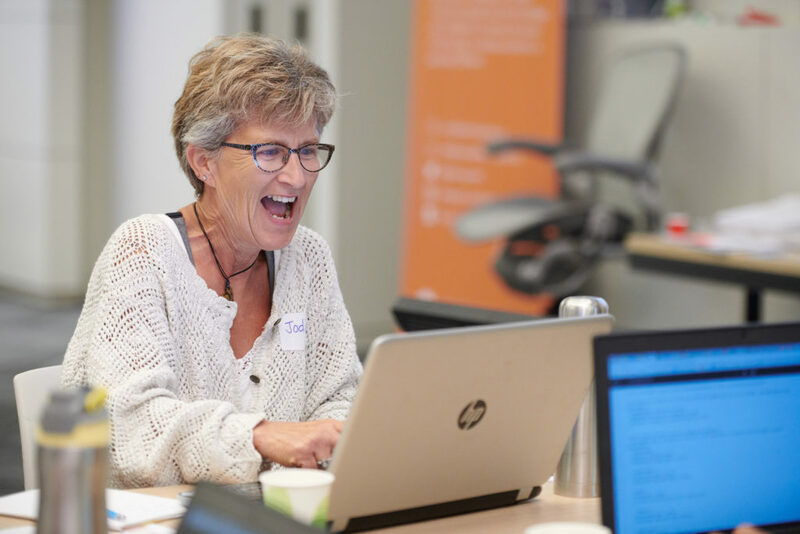 TeacherCon is a free multi-day experience for Canadian educators in the K-12 school system, as well as student teachers and teacher leaders who want to inspire kids to be builders – not just consumers - of technology through coding activities and challenges. TeacherCon Vancouver was one of the best Pro-D on coding I attended. From doing unplugged activities for computational thinking, building a web site with HTML/CSS to introduce our favorite tourist attractions, making our Little Robot Friends sing the Pirates of the Caribbean theme song, to creating our own emojis with OpenProccessing, we went through very well thought out program and got hands-on experience with coding. There was a variety of fun and engaging activities as well as a good line-up of presenters from community partners. 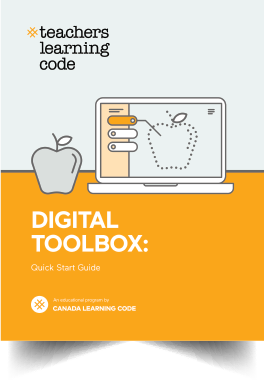 Canada Learning Code also generously provided us with many tools and resources to bring back to our classrooms. I like how we used tools like Kahoot and Wordle which I had also used with my students, and how we were given time to reflect and plan lessons together. Much thanks to a dedicated team of event organizers and volunteers that made TeacherCon a great success and an amazing learning experience for teachers.